Our company are proud to be the first choice gutter contractors in London. Specialising in seamless aluminium gutters. We provide a wide variety of colours and styles. Profile choice includes the ever popular Ogee. In addition we also supply and install UPVC guttering, cladding, barge boards, soffits and fascias. With such a choice available you can be sure to find a guttering solution to suit any age, style and age of property. We have worked with a wide range of clients from small business and private homes to new construction and more traditional styles of architecture. Our clients have included architects, designers, property developers, local authorities, small businesses and private homes. We have something for everyone and would love to help you find a guttering solution that suits your needs. Take a look at a recent project in Ealing. We supply, fit, and replace any style of rainwater gutter and our specialist installation team is completely mobile. Our aluminium gutter installers can produce continuous lengths up to 30 meters with no seams or joints. We can also connect provide downpipes to match. These type of gutters are scratch resistant and hydra powder coated so they won’t need repainting and are maintenance free. London is an extremely busy city, with a lot going on. As one of the oldest populated cities in the UK, buildings often face issues with their gutters and roofing. It can be easy to ignore the issues you’re having when there is so much activity happening. We serve the entire greater London area, so whether you’re in the middle of the city, or in a suburb, we can tend to your guttering and roofing needs. Because we fabricate on-site, we use only what we need and produce minimal waste. Our seamless gutters are made out of the highest grade recycled aluminium available and are considerably eco-friendly. Our company strives to use sustainable products and are confident that they are the best in the market and a worthwhile investment. We follow strict levels of quality control and safety guidelines in all the work we do. Seamless gutter systems are fast becoming the new standard and is being used everywhere. We keep up to date with the latest advancements and technology and our 30-year guarantee proves that we are confident in our work. We have a wealth of positive reviews and testimonials and our customer service has a perfect approval rating. That’s why we consistently get repeat clients and referrals – our customers are truly happy with our products and services. Not only do they come back, but they recommend us to their friends and family. We strive to give our customers exactly what they’re looking for and will happily discuss with you all of the guttering options we offer and figure out which one would work best for your needs. We provide personalized attention during the entire process with a professional attitude and technical expertise. But don’t just take our word for it. If you want to learn more about what our customers are saying, check out the testimonials or see pictures of our work in our portfolio. If you’re in the London area and in the market for new guttering, give us a call. 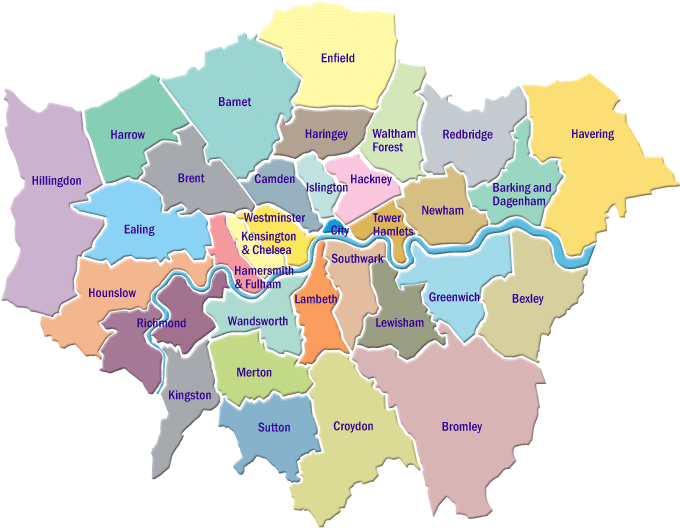 We cover all areas of London and Greater London, including Kingston, Wimbledon, Richmond, Purley, Croydon, Kensington, Chelsea, Fulham, Knightsbridge, Bromley, Mayfair, Brixton, and Crystal Palace. Please call us for a free, no obligation quote.